If you are looking for a job in Assam, here is the good news for you. 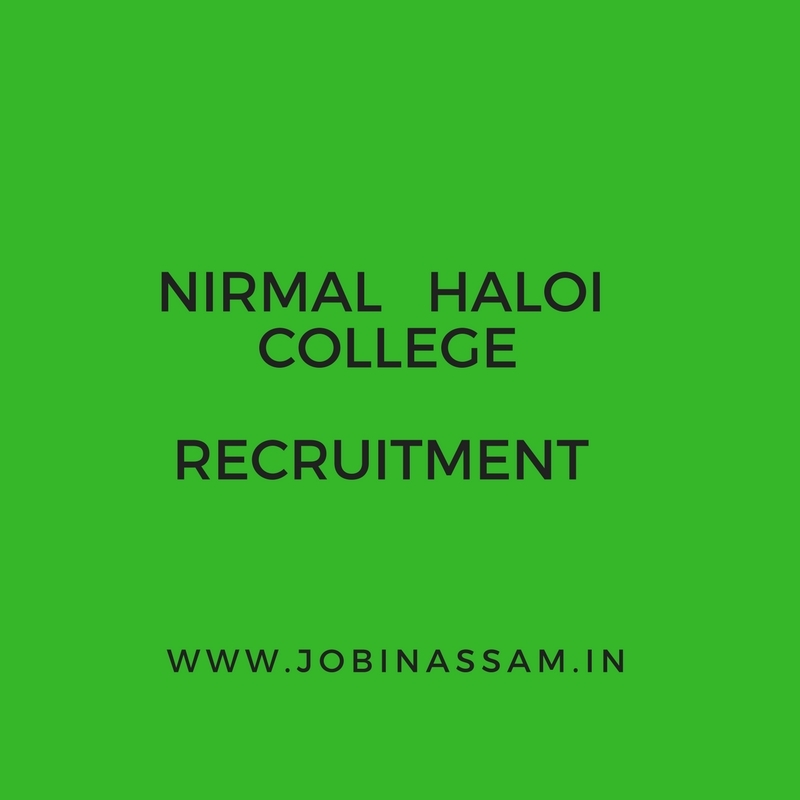 Nirmal Haloi College has published a notification regarding their latest Recruitment in a post for NH College Jobs in Assam 2017. NH College invites applications from the eligible candidates to recruit in the following posts. You can view the details of eligibility criteria and other important things below. Educational Qualification- Graduate from recognized University. These posts are advertised by NH College to recruit eligible candidates for their department. You can apply for the post if you have the eligibility mentioned above. Apply for the post of your choice and build your AssamCareer this year. Application should be accompanied by a Bank draft of Rs.400/- in favour of Principal, Nirmal Haloi College payable at AGVB, Pathsala. I have shared all the important knowledge for the upcoming NH College Recruitment here. This is completely free service for from me. Junior Assistance will be a good job for you if you are eligible for the post mentioned above, apply before the last date. Moreover, monthly pay for the NH College job in Assam is also good.